We will have a short prayer service to welcome in Shabbat followed by dinner. Come dance the night away with the best! 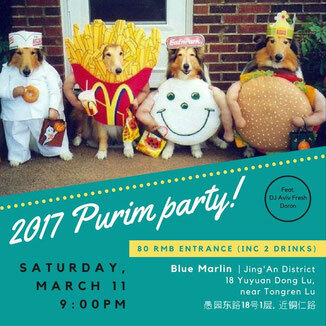 Featuring DJ Aviv Fresh Doran, you will not want to miss the opportunity to dress up, get down, and celebrate Purim with your favorite people! 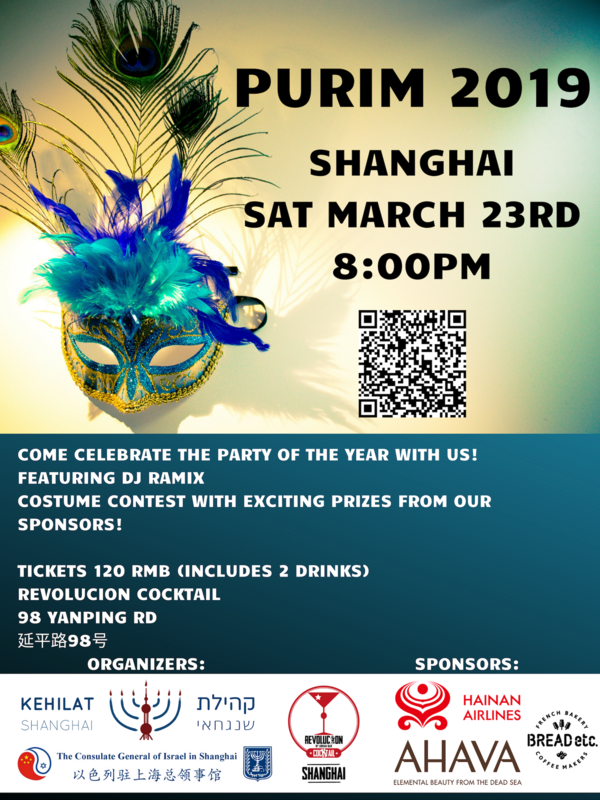 Please remember this party is for members of the Jewish Community of Shanghai and greater China and their guests. Fun for the whole family! We will be having a hamentaschen making with a flavor contest, costume parade, and telling of the Magilah (in english). Sure to be a fun afternoon for all involved. 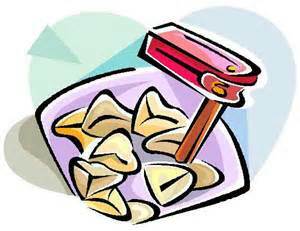 For hamentaschen, please bring your family's favorite filling! Dough and basic fillings will be provided. Then for the families that are interested, we will be going as a group to the Chabad Purim Festival. PLEASE NOTE: Some families will be going to Brunch before the event begins. Boya does a traditional Israeli Brunch until 3:00pm. Some snacks and Drinks will be provided. The holiday lasts seven days in Israel and eight in the diaspora, and is marked by several distinct traditions as we both give thanks for the Fall harvest and commemorate the forty years of wandering in the desert after Sinai. Together we fulfill the Sukkot mitzvot of hiddur mitzvah- decorating the sukkah, joining together to sit and eat in the sukkah, sharing harvest fruits and shaking the lulav and etrog. Registration is required in order to allow us enough time to organize the event. 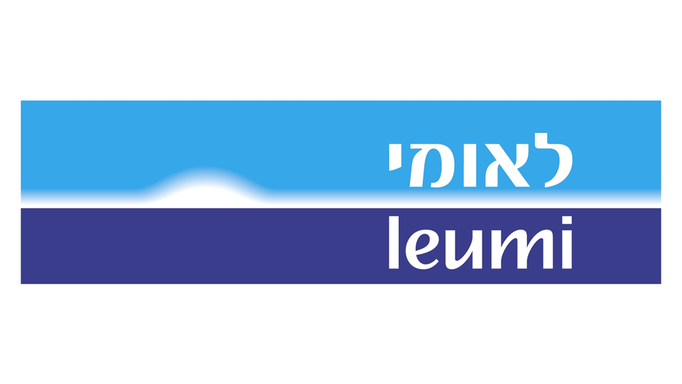 Kehilat Shanghai will be hosting a group of MBA students from Haifa University and their professor Chalom Schirman, director of the MBA program and long-time friend of Kehilat Shanghai for a Shabbat dinner on October 21 at 7PM. We will have a short Shabbat service followed by dinner. Our Shabbat venue’s chef has made some adjustments to the food so vegetarians can also enjoy the food. Ari our community organizer will prepare Challah bread and after dinner we will have adult schmoozing. 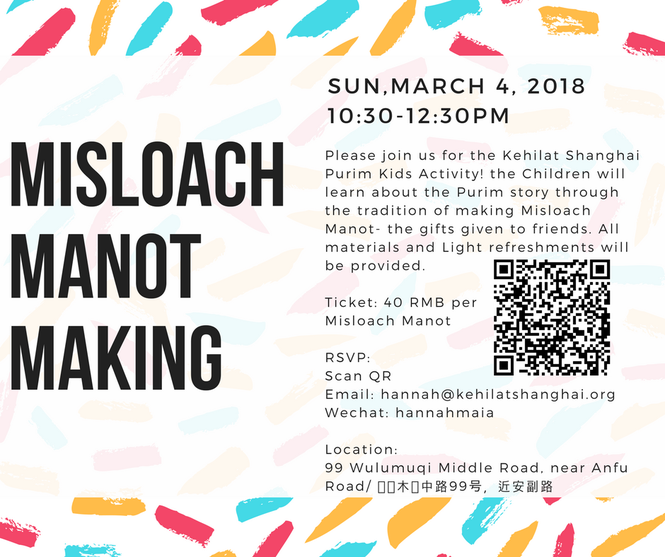 We are happy to invite Kehilat Shanghai to Adi's Bar Mitzvah service led by Rabbi Nathan Alfred from Singapore. Please contact the Yaron family or Ari for RSVP. Program: Shacharit Le-Shabbat service including Bar-Mitzvah blessings, Torah reading and Dvar Torah. After service, the guests will enjoy light food and drinks. Leveraging Yom Kippur's Message for Our Jewish Future: Where has Today's Organizational Judaism Missed the Mark & How Can We Adjust Course? 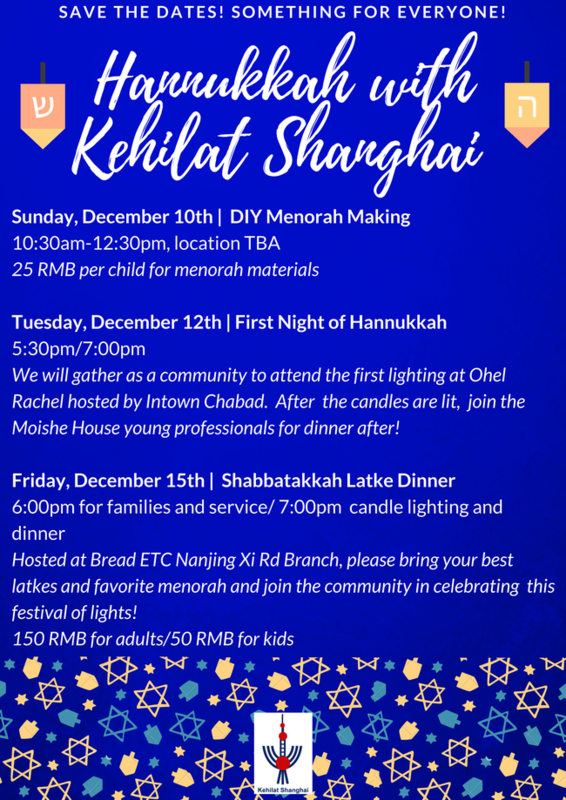 Kehilat Shanghai will have another wonderful monthly Shabbat dinner on August 26 at 7PM. 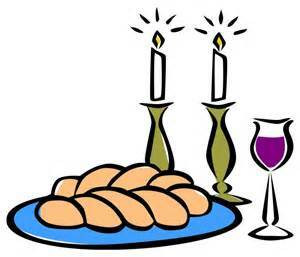 We will have a short Kabbalat Shabbat service followed by a feast with wine. Our Shabbat venue’s chef has made a few more adjustments to the food and Ari will prepare Challah bread with different dips. If you like hummus, roasted eggplant or Matbuha you should not miss out the dinner. The delicious food will be paired with 3 different types of red wine and after dinner there will be adult schmoozing. Please register as soon as possible so we can prepare for your coming. Scan QR code with your phone. Young Professionals Brunch with Rabbi Morgan -- Sunday, April 24 (Moishe House). Click HERE to sign up. Please join us on Tuesday, April 12 7:00pm for a screening of "The Green Prince"
The Green Prince, a 2014 German documentary, is based on Son of Hamas, the autobiography of Mosab Hassan Yousef, son of Hamas founder Hassan Yousef. Because of this, Mosab was a prize catch for the Israeli agency. Admission is 100 RMB which covers two drinks. A light bistro menu available to order. Venue: the screening room at The Apartment 4/F, 47 Yongfu Lu, near Fuxing Xi Lu / 永福路47号4楼近复兴西路. "Sh’ma everyone and hear us well, For now is the story of Purim to tell.."
Please join us on Sunday, March 27 4:00 pm for a Dr. Suess inspired Purim Shpiel! A play meant to poke fun at the story of Purim with songs, jokes and costumes for all ages. Come schmooze with your favorite Jews, get your dance on, enjoy Purim crafts and eat Hamantaschen! We encourage one and all to come dressed in costume and ready to have a lot of fun. Location: 5F, No. 83 Changshu Rd, near Julu Rd / 非常食材，常熟路83号5楼靠近巨鹿路. Please join us for a delicious Purim Shabbat dinner. All are welcome and costumes are encouraged! Purim is a fun holiday- time to dress up, eat, drink, and be merry! But it's also time of year that we reach out to those around us and share what we have. As Kehilat rolls out our new Tikkun Olam initiative, let's give a little back. 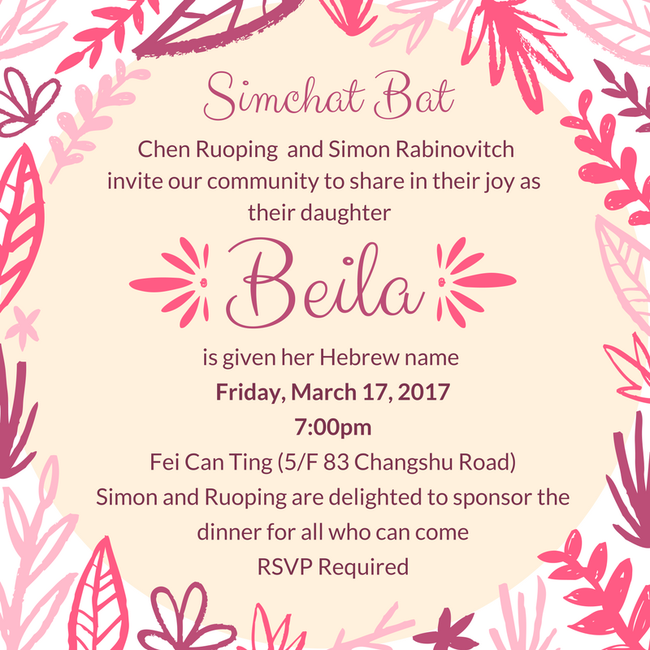 We'll be accepting donations at Shabbat that will be used to create Purim gift baskets for needy families in Shanghai. Tikkun Olam is an integral part of Jewish culture. Tikkun Olam means healing the world. We can do that by helping those around us: strangers and friends alike. 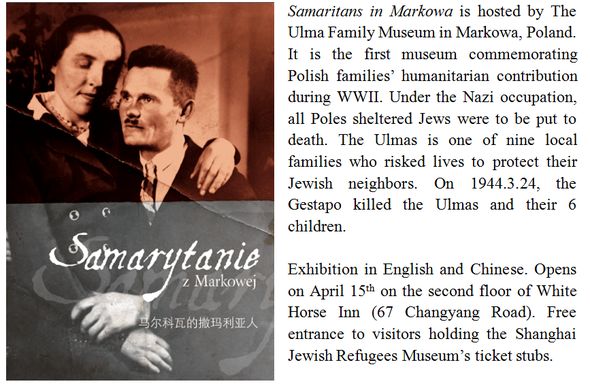 This is the mission of Kehilat Shanghai's new Tikkun Olam initiative. We'll be organizing regular fundraising efforts for worthy charities, holding community-wide Kehilat Mitzvah Days, and incorporating Tikkun Olam elements into our regular events. If you have a connection with a worthy charity cause, or want to help organize a fundraising effort, please contact us and get involved. The scotch & cigar club will host its next event on Tuesday, March 15 starting 8:00 pm at Izakaya Bar. We will enjoy Scotch, Japanese Whiskeys and Japanese Sake. Wonderful venue- Cigars welcome! 21 Yongjia Lu, near Maoming Nan Lu / 永嘉路21号近茂名南路. Please join us on International Women's Day for a screening of "Gett: The Trial of Vivian Amsalem". Gett is the story of one Israeli woman’s fight to press the rabbinical court to overrule her husband and grant her a divorce. The film will be followed by a discussion led by congregant Shula Shilon. Venue: the screening room at The Apartment 3/F, 47 Yongfu Lu, near Fuxing Xi Lu / 永福路47号3楼近复兴西路. To those of you who have escaped town for CNY- welcome back to Shanghai! 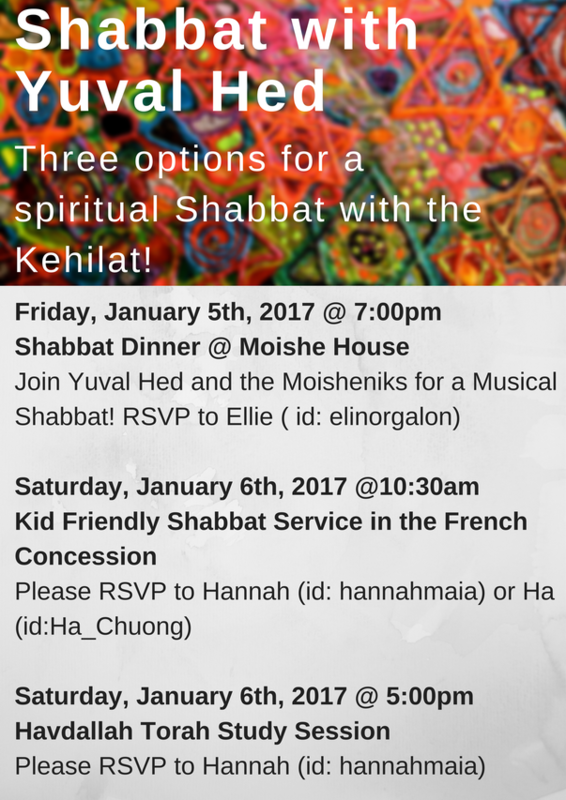 Come catch up with friends, old and new, at Kehilat's monthly Shabbat dinner. We have teamed up with "1221 Dining Room" for a special Shanghainese meal. 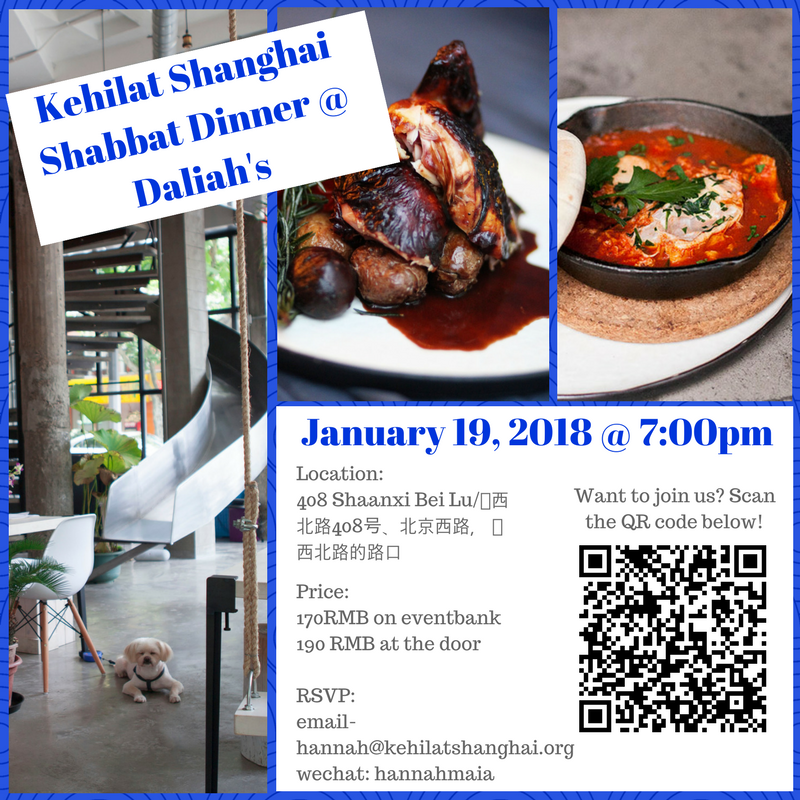 Try delicious and authentic Shanghainese dishes while testing your knowledge of Shanghai at our very first Shabbat Quiz Night! Please join us on Tuesday, February 23 7:00 pm for a screening of the comedy- drama film written, produced, edited and directed by the Cohen brothers “A Serious Man”. A Serious Man examines the directing/writing team's roots with a deconstructing look at a Midwestern Jewish family. Tablet Magazine call the film a "philosophical and theological gem......strongly rooted in the fertile soil of American Jewish communal and religious life." Please RSVP by February 22nd and mark your calendars now for movie nights on March 8 and April 12! The scotch & cigar club will host its next event on Tuesday, Feb 23 starting 8:00 pm, at Constellation Bar #4 on Zizhong Lu at Danshui Lu. Warm your belly while catching up with friends, old and new, at Kehilat's monthly Shabbat dinner. We've teamed up with the Original Ingredients Exhibition Center for a special meal showcasing natural food products from the far reaches of China. Purple mushrooms, farm raised Xinjiang chicken, sun-dried fruits and nuts are reinvented in tasty Chinese homestyle cooking. Get your Tu B'shvat on (that's the New Year for the Trees) by trying some new fruits and vegetables. Join us on Friday, December 25th for a special Shabbat dinner as we observe a timeless Jewish tradition: Chinese food on Christmas! 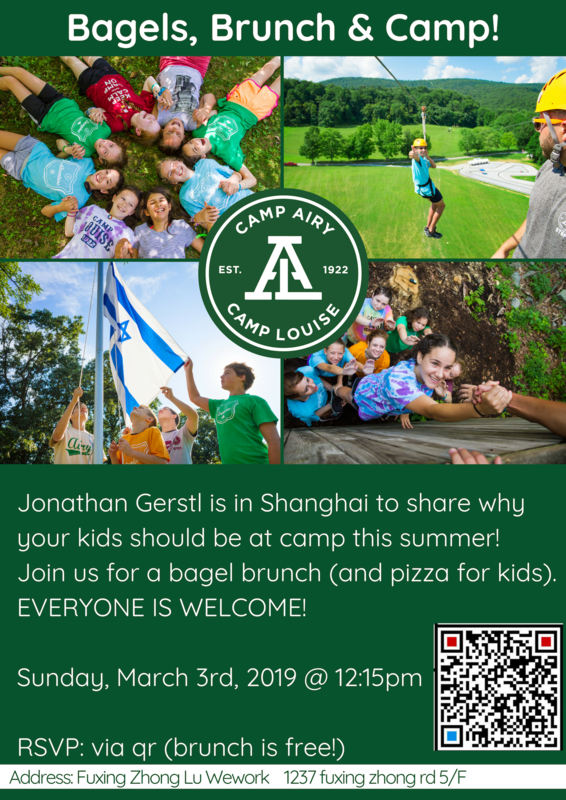 Come Share this good old American Jewish tradition with other Jews in Shanghai. Space is limited, please hurry up and RSVP! If you like hanging out with other Jewish professionals and enjoy drinking, then this one is for you! Sunday, December 13 4:00pm- Hanukkah: Kids Light Up Your iPads! This Hanukah we would like to invite your kids to communal learning leveraging iPads. We will strengthen our Hebrew skills, deepen our knowledge of Jewish History and learn the basics of computer coding through a variety of iPad Apps. Activity will be led by Avishai Chelouche. Avishai is the co-founder of Padguru Ltd, Israel’s leading company in iPad based education. Padguru teaches coding and other skills to over 6,000 elementary school kids in Israel. We will end with Hanukkah candle lighting. One of the problems facing those attempting to revive Hebrew as the national language of the emerging State of Israel was that of Hebrew lexical voids. The revivalists attempted to use mainly internal sources of lexical expansion, but were faced with a paucity of roots. Consequently, they changed the meanings of obsolete Hebrew terms to fit the modern world. This infusion often entailed the secularization of religious terms. 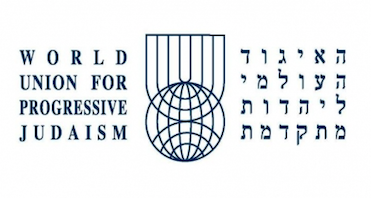 This lecture explores this aspect of Israeli cultural linguistics and socio-philology, casting light on the dynamics between language, religion and identity in the culture wars of the modern Israeli state. The lecture will be held on Wednesday, December 9 7:30pm at 358 West Huaihai Road, Building 5, Apt 2002 (near Anshun Road) / 淮海西路358号5楼2002室近安顺路. Please join us on Monday, December 7 7:00pm for a Hanukkah candle lighting and a screening of the acclaimed Israeli documentary "Beneath The Helmet: From high school to the home front". Produced by Jerusalem U, Beneath The Helmet is a coming of age story that follows five Israeli high school graduates drafted into the army. Join us on the 1st night of Hanukkah for a communal candle lighting followed by a potluck dinner including delicious jelly-filled donuts (Sufganiyot)! Join us as we continue with our monthly Shabbat dinners on Friday, November 27. We will team up with a group of 70 visitors from Bialik College, a Jewish Zionist school in Melbourne, Australia for a joint Shabbat dinner. Join us in giving them a warm Shanghai welcome! "The Girl Who Burned the Banknotes, and Other Tales of China's Rural Revolution"
What can we learn about the Chinese revolution by placing a doubly marginalized group—rural women—at the center of the inquiry? And how does an examination of collectivization in China help us to understand the rapidly changing countryside today? Join us for an interesting talk with Gail Hershatter, distinguished Professor of History and East Asian Studies Co-Director at the University of California Santa Cruz, who is currently a visiting professor at Fudan University. Drawing on a decade of research in rural China, including life history interviews with more than 70 women, Gail will talk about changes in the lives of women in rural Shaanxi province during the early decades of state socialism, the 1950s and 1960s. Gail will explore some unexpected lessons in the story of a former child bride who became a women's activist. Did rural Chinese women have a revolution? If so, when, and what sort of revolution was it? Such questions encourage us to consider others that preoccupy historians: when is gender a useful category of historical analysis? How is the historical record shaped in interactions with the present moment? What counts as an event worth remembering? Who gets to decide? Learn how to bid Shabbat farewell in your home. Make your own Havdalah candle and spice bag and learn how to use them in the Havdalah service. 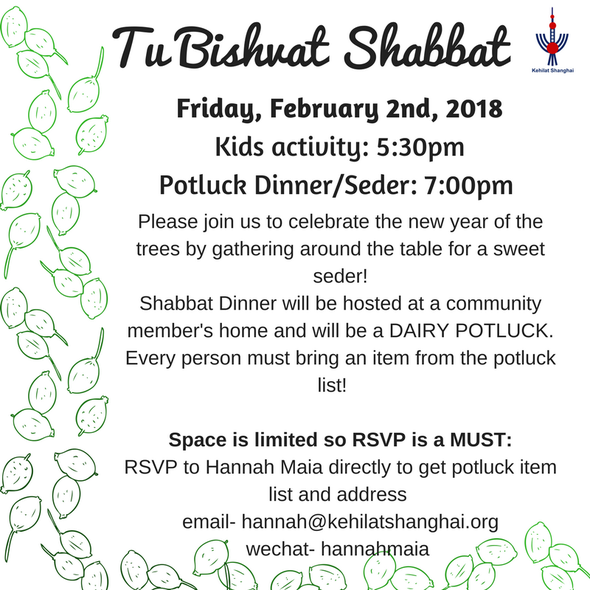 Join us for a communal Havdalah service followed by a potluck dinner and a short study session on Havdalah (for teens and adults). "E-commerce into China: Don't get tangled in the web!" We will introduce the subject of E-commerce in China from different perspectives. 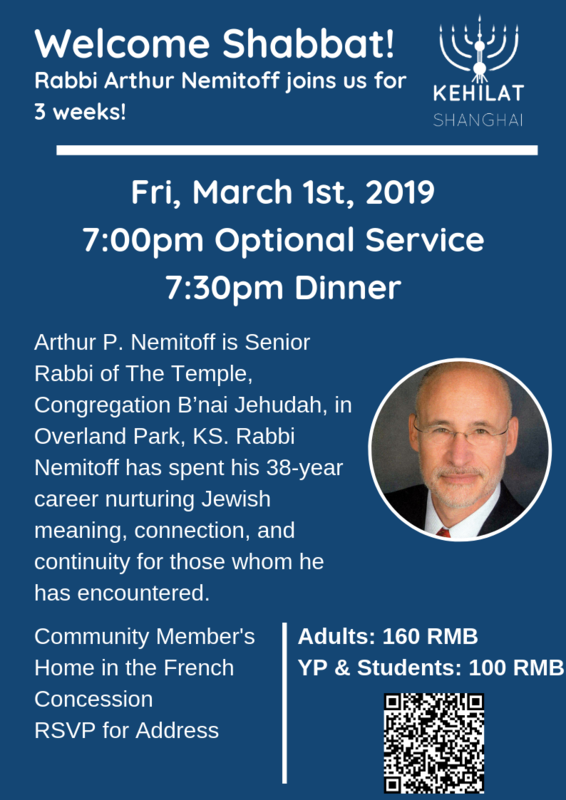 Shanghai Jewish Professionals' Forum provides opportunities to learn from other professionals, to share our own successes, challenges and questions, and to get more out of the time and effort we put into our work. We will meet monthly, focusing in different industries, bringing professionals iwth common interests together, to discuss topical issues of broad concern. Kindly hosted by the Israeli Consulate's Business Center.